Visitors from FL and PA! 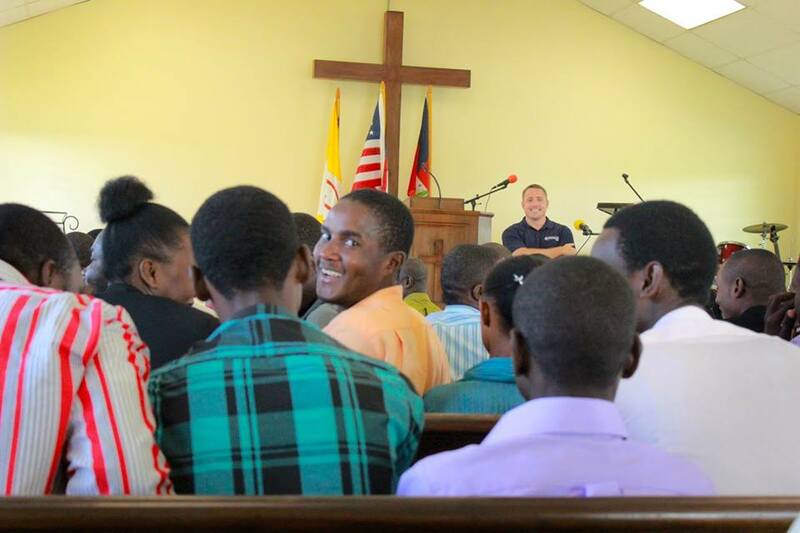 These two teams, from Crosspoint Church in Niceville, FL and New Bedford Presbyterian Church in New Bedford, PA, have been busy partnering with all kinds of ministries throughout Northern and NorthWestern Haiti, but it was a joy to have them all on campus tonight to spend some time with our students, practicing English and then being a part of the nightly prayer service. We love putting His children together, with a common-ish language, to learn and laugh and prayer together! Alright, a few shots from another busy week! This week Marshall Daigre wrapped up the Biblical Doctrine of Holiness course, Pastor Fanfan Joseph finished 1 & 2 Samuel, and Miss. Pam concluded the Pauline Epistles. I love talking to our students about these classes, hearing all the input from the student’s perspective during the day and from the professor’s over dinner at night. What a gift to have so many cultures working together for the Gospel, learning from and enjoying and teaching each other. I got into Marshall’s class one day a bit late…everybody was already standing for prayer. But I loved watching the fun interaction as they discussed the test, and hearing Marshall lift everyone up. Glory, glory to God, today Emmaus Biblical Seminary of Haiti has been officially accredited by the Carribean Evangelical Theological Association (CETA), affirming that EBS measures up to global standards for higher education, and establishing Emmaus Biblical Seminary as the first and only school in all of Haiti, even on the entire island, to be so accredited. The journey has included hundreds of changes, improvements, purchases, policies, procedures, manuals, trainings, best practices, inspections and adjustments, and it has been the hard work and perseverance of many over the past twelve years, and the ultimate work of God’s grace and provision and power. Here’s a brief view of President Matt Ayars’ announcement in chapel today…followed by a praise and worship service and sparkling cider for all! Thank you for your many prayers and for celebrating with us today!